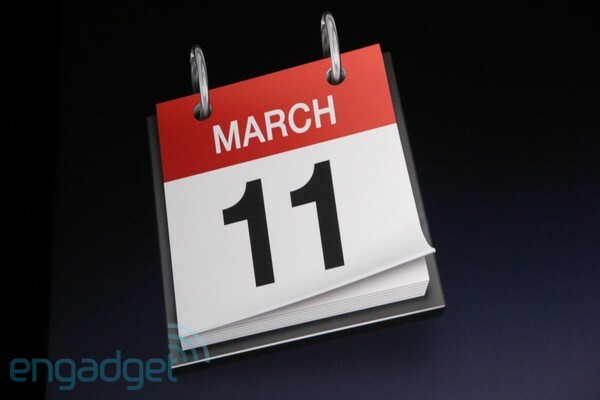 And of course, more countries will get the new iPad in the coming weeks and months. No pre-orders???????? Apple stores are going to be freaking TENT CITIES with campers lined up. They must have skipped pre-orders knowing this would happen, it’s going to be dominating news coverage for the next two weeks. I lived in Malaysia, when it come to Malaysia? end of year probably…. get one from singapore. When it come to Taiwan? I ordered my iPad 2 from the apple store on March 23. I’m from the US and the estimated ship date was Ships: Apr 27 and Delivers: Apr 30. Today it has bumped up about a week and Ships: Apr 21 and Delivers: Apr 26. You are welcome to follow my FB page becuase I will be updating if there are any changes to the ship and deliver date of the iPad 2.